Rey Ian Cabanganan shared a handy Siri Shortcut over of the Siri Shortcuts Facebook group which does a good job of optimizing your phone for “fast charging”. Now, obviously, none of the charging technologies is changed using this shortcut. It simply switches off all of the battery intensive functionality on your device. What’s more, to save you the effort of having to switch all the services back on, it will prompt you in 30-minute intervals, so once your battery has reached the required percentage it will switch them all back on again. Ian appreciates his device knowing who is boss and has added voice acknowledgement of his status. I’ve removed those sections, the rest I’ve left in place. On my MacBook I use the GPG Suite in order to keep my sensitive data secure, including data which I upload to the cloud. Encrypting files is something I do frequently, so I put together a small automator folder action to automatically encrypt files dropped into a specific folder. For this to work, you’ll need the GPG Suite installed, with a private key setup. You’ll also need to adjust the ‘–recipient’ option in the bash code listed below. Once the file has been encrypted it deletes the unencrypted copy, so be sure to keep your key safe. This October marks the 15th NCSAM which is co-lead by NCSA & Cyber. As part of my role at my current employer, one of my main focuses is on the business and its staff’s Cybersecurity compliance and awareness. This is also something I am pationate about outside of work. Therefore, I have registered to become a NCSAM Champion. For sometime now I have been a big fan of the Apple Workflow app, which Apple acquired 2 years ago. 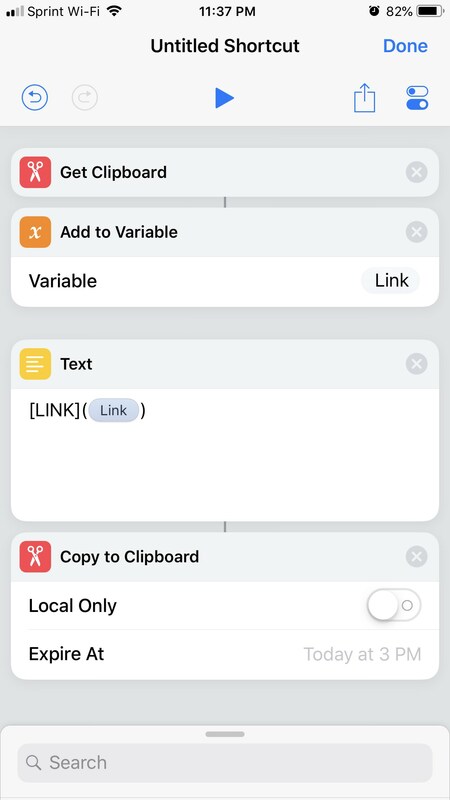 So needless to say, I was very excited when I learnt about their intention to bundle the Shortcuts app with iOS 12 back in July. As a veteran applications developer, I like automating things where possible and the Siri Shortcuts app enables just that. With the benefits of it being ‘cross-device’ and also actionable via voice from the HomePod. The app is amazingly powerful, with third parties updating their apps all the time to support the new hooks. It’s not as large as it used to be mainly because I had to delete a lot of them to reduce clutter. Some of them are self-explanatory, but a few are personalized so they might not make sense to you. I’ll try to explain. It’ll take forever to share each one so let me know if you find one interesting and I’ll share later tonight before I sleep. I did want to embed the thread into the page, however – reddit has other ideas..